Karamba is a reputable online casino that appeals to a huge number of players due to its outstanding online games, irresistible deals and dedicated customer support. 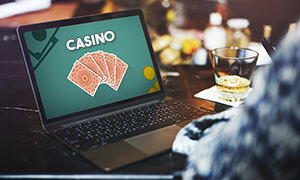 Even though the look of its well-designed website is very modern and fresh, the online casino has actually been present in the online gaming industry since 2005. It aims at providing online games that will meet its players’ expectations and will allow them to get the best possible gaming experience online. As a fully licensed online casino operator, it assures an extremely high level of protection to its players’ personal details. Thanks to the sophisticated encryption technology in use, their sensitive information is transferred safely to the inner system of the online casino. Players can rest assured that the online casino takes great responsibility when it comes to protecting their data. The main goal of the online casino is to create an online gaming environment that will help players free their mind and fully enjoy themselves by playing a favourite casino game. The online casino offers a wide range of payment methods thanks to which they can make deposits conveniently and securely. Karamba is fully committed to providing its online users with nothing but fair gaming and high level of entertainment. The online casino believes in mutual prosperity and that every time someone wins big, it has managed to keep its promise and provide players with the opportunity to change their lives by playing a favourite casino game online. Karamba was established in 2005 and it belongs to ASG Technologies Ltd. The amount for the minimum deposits and withdrawals is £10. 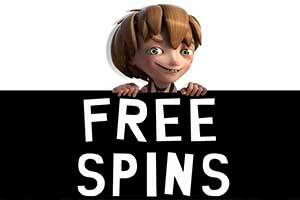 The no deposit bonus at Karamba consists of 20 free spins. The wagering requirement that applies for this bonus is 20x. 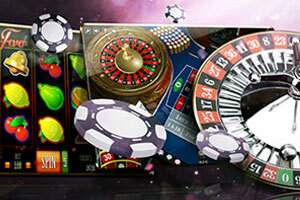 New players have the chance to register and take advantage of the welcome package the online casino offers. It consists of a 100% match bonus and 100 free spins and it is distributed within a period of three days. On the first day of their registration, players will get a 100% match bonus and 20 spins. On the second day, they will receive 40 more spins and on the third day, they will get the rest of the spins plus an exciting surprise bonus. 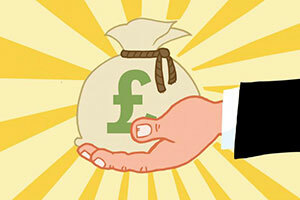 The welcome bonus applies on the players’ first deposit and it is up to £200. The minimum deposit they can make is £10. It is essential that players get familiar with all of the T&C that apply beforehand in order to avoid any misunderstandings. 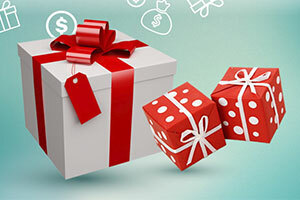 Karamba offers exclusive regular bonuses which are one of the reasons why the online casino has so many loyal players. Some of the special deals include Daily Karamba, Free Spins Fest, Chat Bonuses, Monthly Cashback Craze and others. 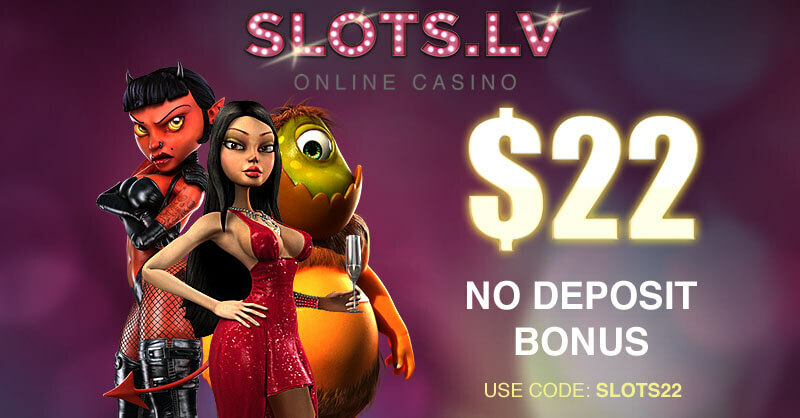 It is worth noting that some of them are valid for a certain period of time and thus, it is best to double check the casino’s website for the latest available deals. The online casino has a Reward Points Programme which rewards players with loyalty points, every time they play at this online casino. These points can be exchanged for bonus cash. Every time players wager £35, they will receive 1 point. It is worth noting that these rules apply only for the real money online games. The special programme also features Reward Levels thanks to which players are able to get even better bonuses. New Member, Bronze VIP, Silver VIP, Gold VIP, Platinum VIP, Premium VIP, Prestige VIP are all of the levels that they can climb on the VIP ladder. Karamba has teamed up with some of the leading software suppliers in order to provide its players with the best gaming experience they can get online. Some of them include Amaya, NetEnt, NeoGames, Quickspin and others. 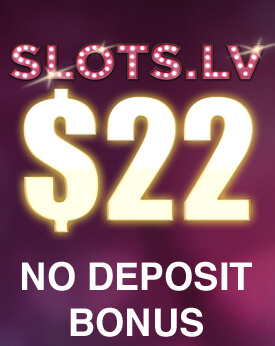 The online casino offers a rather limited range when it comes to jackpots. However, the available ones are up to standard and are definitely worth a try. Players can enjoy Jackpot Jester, Mega Fortune, Reel Bandits, Cosmic Fortune and others at the comfort of their home. Players have the chance to enjoy a number of diverse games, including Live Dealer Games, Video and Classic Slots, Roulette, Blackjack, Table Games, Scratch Cards and others. The live casino at Karamba features live dealer games such as Live Roulette, Live Blackjack VIP, Live Baccarat, Live French Roulette, Live Blackjack Party, Live Baccarat Squeeze and others. Karamba has a mobile app that can be downloaded from the App Store. Presently, only players who have an Apple device will be able to take advantage of it. The app supports 8 languages and it gives online users the chance to keep updated regarding the available promotions the online casino offers. The online casino has also a mobile version which can be accessed from any mobile device, including Android and Windows Phone. Players can use a number of payment methods in order to make deposits conveniently and securely. Some of the available payment options thanks to which they are able to pay online instantly are Skrill, Ukash, Visa, EntroPay, Paysafecard, Neteller, Poli, Trustly, Euteller and others. Players have to chance to wager at Karamba in the following currencies: EUR, GBP, USD, SEK, NOK, DKK, BRL, CAD and AUD. The online casino at Karamba is available in the following languages: English, Spanish, Italian, French, Norwegian, Japanese, Swedish, German, Portuguese and Finnish. The dedicated customer support at Karamba has greatly contributed to the huge success of the online casino. It is possible to contact a well-versed customer support agent by using live chat, email, phone and even fax. The company also has an impressively wide FAQ section which covers almost every question that comes to mind. However, if players still need assistance they can send an email to Contactus-ENG@Karamba.com or call 18449212309. Players can get help every day of the week between 8am and 1am CET. Karamba has operating licences issued by the UK Gambling Commission and by the Malta Gaming Authority. There is a large number of fair, entertaining games to choose from at Karamba, with over 300 titles overall. It is true that compared to other online casinos that host thousands of games, this is nothing extraordinary. The top quality of the slots and table games at Karamba Casino, on the other hand, should also be taken into consideration. All games load directly in the web browser of your computer or mobile device and there is no need to download any special piece of software in order to access the virtual or live casino games. 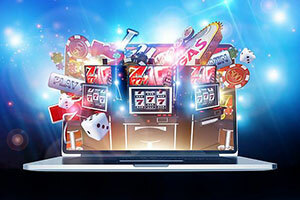 The gambling site has teamed up with a wide array of software development studios so it can provide its patrons with various types of games. Among the software companies represented in the lobby are NetEnt, Amaya, Microgaming, Pragmatic Play and iSoftBet, some of the leading names in the iGaming industry right now. Most of the games are available in demo mode so you can try them out for free before playing with your own money. The demo versions can be opened even without being signed in. There are certain exceptions, however, and these are, as always, progressive jackpot games and live dealer games. The games at Karamba Casino are divided into several categories, namely Video Slots, Classic, Casino Games, New, and Featured. In addition, the live dealer games are in the Live Casino section of the website, while under Scratchcards, you will find dozens of scratchcards and scratchcard-like slots. Those who are interested in sports betting can also visit the Sport section. And if you are looking for something new and different, check those games in the lobby that are tagged as New or Exclusive. The gaming collection at Karamba Casino consists mainly of slots, which is hardly a surprise for regular casino players. There are not many retro-style slots and even the 3-reel games categorized as Classic Slots are quite colourful, fun and feature-rich in order to fit in with the casino’s entire concept. The abundance of video slots, however, compensates for the lack of good old fruit machines and the games in this category are among the best games right now. Whether you are opening them in demo or real-money mode, you can enjoy ultra modern graphics, spectacular animations and 3D effects. There are plenty of slots inspired by legends and mythology such as Egyptian Magic, Mayan Gold, Thunderstruck II, and Wild Scarabs. Others feature cartoon-like animations, funny stories and animal characters – 7 Piggies, Hugo Goal, Lucky Little Gods and Dragonz, just to name a few. Horror and Gothic-inspired slots are also very popular and some of the best examples are House of Doom, Lost Vegas, and Wild Blood. Of course, all blockbuster titles are also here – Game of Thrones, Avalon, Reel Bandits, Alice Adventure, Starburst, 108 Heroes, Forbidden Throne, Atlantis, and more. Those games that are described as Exclusive are actually not exclusive to Karamba but are quite rare, being developed and supplied by NeoGames, so make sure you check them out. They include Mighty Sphinx, Astrodice, Reel Bandits, Power Cash, Aqua Cash, and many, many more. 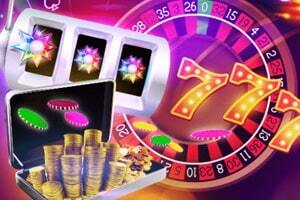 The selection of classic casino games, including roulette, is quite limited at Karamba Casino. These variations that are available, however, are truly astonishing – many of them are stylishly designed, and have enhanced graphics and improved fast gameplay. It is important to choose the right game for you as some of them have rather high betting limits, while others are more suitable to high rollers who prefer high-stakes play. Choosing an American or a European/French roulette is also key because the presence of two zeros in the American version increases the house edge. One of the really beautiful roulette variations you can play at Karamba is Roulette Lounge by NeoGames. It is based on the classic European roulette, follows all the basic rules, and features Autoplay, Turbo mode, HD audio-visual functionality, game history, and more. Another fun variation is Roulette Pro, which is a French version with various special and neighbour bets available. Once again, it has Turbo and Autoplay functions, and you can change the colour of the roulette table. 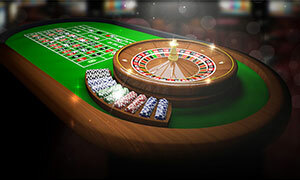 Each version of roulette comes with its own bet limits, but usually, only VIP members can wager more than £100 per spin. One of the best things to play roulette at Karamba Casino is that most of the versions feature a guide on how to play, complete with the rules and strategies. In addition, many of the games also show their theoretical RTP (return to player) percentages. The same could be said about the blackjack variations hosted at Karamba Casino – they feature rules and payout percentages and come with various customization tools. The graphics are of top quality, while the design is clean, simplistic and stylish. Unfortunately for fans of this popular game, there are not many variations to choose from in the lobby. 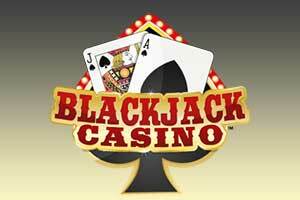 The handful of blackjack games include Blackjack Classic and Blackjack Solo. While there is nothing extraordinary about the first one, the 8-deck Blackjack Solo stands out with some interesting features and rules. For instance, it has quite low betting limits (£0.25 – £100) and pays blackjack 3 to 2, which means you win 1.5 times your bet. The dealer draws to 16 and stands on all 17s, insurance is paid 2 to 1, only one split is allowed, and doubling down is allowed after splitting, except when you split Aces. While these are quite standard rules for blackjack, this version also features the so-called 10-Card Charlie rule – if you draw 10 cards in one hand without busting, you automatically win. Due to all these rules, the average payout for Blackjack Solo is 99.55%, while Blackjack Classic has an RTP of 99.51%. Karamba Casino also offers its patrons several variations of video poker, a simpler, automated version of five-card draw poker where the lowest winning hand is a pair of Jacks or higher. This hand is called Jacks or Better, which is also the name of the name of the standard game of video poker. Players at Karamba can find it under the Casino Games category and play it in single or multi-hand mode. They can choose the number of hands they wish to bet on at the same time – 1, 5, 10, or 25. While the single-hand Jacks or Better is perfect for beginners, the multi-hand mode is recommended to more experienced players. You can find the full paytable and the payout of the game, which shows it is a full-pay game with an RTP rate that reaches 98.25% if you play with no mistakes and bet the maximum amount of coins. The other version available at Karamba Casino is Joker Poker, which is quite similar, but the Jokers are added and function as Wild cards. The lowest winning hand is Kings or Better and the payouts for the hands are quite different from what is paid in Jacks or Better. As a result, the RTP is 98.34% when you play at the highest bet level (5 coins). Players at Karamba Casino have access to a large number of progressive jackpot games. Unlike in many other online casinos, these progressives are not in a separate category, so you may find it a bit difficult to notice them at first. Browsing through the Video and Classic Slots, however, you should come across several of the most popular jackpot games right now. Among them are NetEnt’s Divine Fortune, Cosmic Fortune, and Super Lucky Frog, where the jackpots are locally generated. Karamba is one of the very few online casinos where you can play these games in demo mode. Along with NetEnt’s progressive slots, the casino site has several other jackpots to choose from – Jackpot Jester 50K and Jackpot Jester Wild Nudge by NextGen Gaming. The online casino may not have a huge number of virtual card and table games to offer its patrons, but its Live Casino hosts a great collection of live dealer games. They are provided by Evolution Gaming, one of the largest companies that create and supply live dealer games to web-based casinos. The company broadcasts the games from its production studios in Latvia and Malta, using the latest technological innovations to bring casino players as close to Las Vegas as possible. Thanks to the HD quality of the stream, the professional croupiers and the real-time feed, the gaming experience is, indeed, authentic as if you are in a brick-and-mortar casino. At the same time, you can play Live Roulette or Live Roulette VIP at Karamba Casino without leaving your home. Other roulette versions are also offered – Live French Roulette, Immersive Roulette, and Live Auto Roulette. The casino is constantly adding new games to its Live Casino lobby and currently, it also hosts Live Blackjack, Dream Catcher, Baccarat Squeeze, and Live Blackjack VIP. How can players be sure that the online games at Karamba are fair? Karamba is a fully licensed casino that has a strong reputation in the online gaming world. The reason why is that one of its core values is fair gaming. 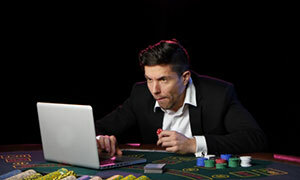 Players can be sure that the online games are entirely random due to the fact that all of them are encrypted by the sophisticated system of the online casino which makes them unique. The technology in use has proven to be reliable and trustworthy as it has been verified and tested independently by a team of specialists. How can players find information regarding a particular online game? It is possible for players to get familiar with the rules of any online game. All that they have to do is to simply click on the help button that can be easily spotted in every game. They will be also able to find a detailed description full of useful information regarding the odds and probabilities and the available prizes. If players have any further questions, they can simply contact any of the customer support representatives. How can players play in practice mode? Players can open a practice account that offers them the chance to play up to 250 games in free mode. After they reach this limit, the practice mode won’t be available any more. However, if they decide to create a real money account and deposit at least $10, then every next time they make a deposit, the initial number of available online games that can be played in free mode will become available again. Each time, they make deposits, they will get more online games. Once they have a real money account, it is possible for them to go back to practice mode whenever they wish. Can players play in tournaments at Karamba? Yes, players have the chance to participate in a number of interesting tournaments. They can join more than one events of this type simultaneously, providing that they meet the established T&C for each one of them. Some tournaments are exclusive and have specific requirements who exactly is eligible to enter them.